The ND Desk is modernist perfection with classic Danish craftsmanship offering simple and modest functionality. Featuring three generous draws to solve all your storage woes, the desk's handle detailing and slim legs make the perfect office complement. 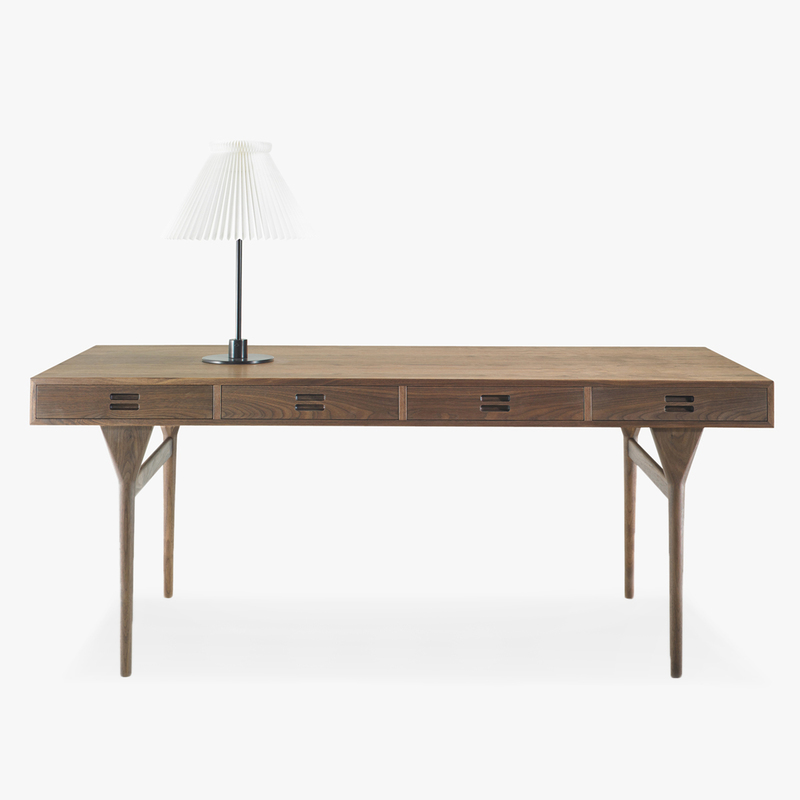 Originally designed by Nanna Ditzel for Søren Willadsen Møbelfabrik, and made in Denmark in 1960's, the desk is available in lacquered oak and walnut. Nanna Ditzel was the most versatile and creative female designer that Denmark produced in the 20th century. Ditzel brought her talents to bear on a staggering array of forms - she designed furniture, jewelry, tableware and textiles; and she shaped her pieces using an equally astonishing variety of materials, from wood and wicker to silver, ceramics and fiberglass. Price shown for oak finish.